Well hello to transitional dressing in Memphis! I’m so glad I am able to still hold on to a tiny weeny little piece of summer with the temps. But here in Memphis, it is the awkward time of year where the morning is crisp and fresh and the afternoon is smoldering hot and humid. You have to be prepared my friend and dress accordingly. 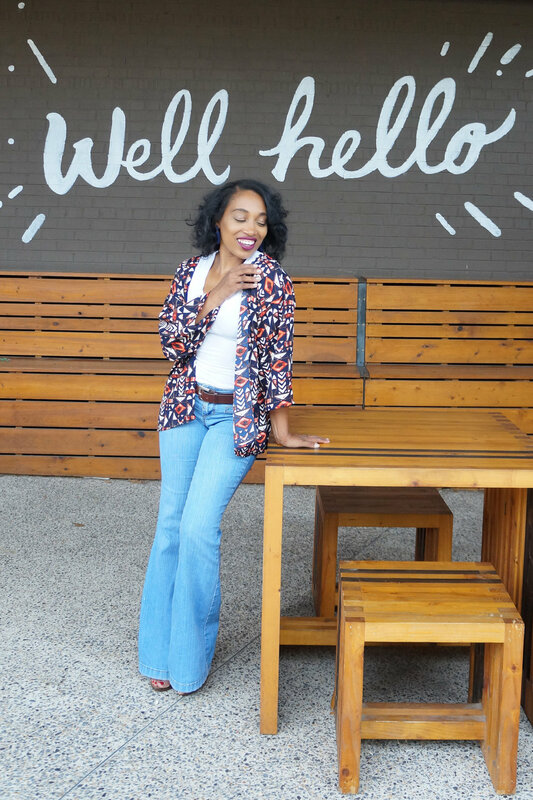 Sometimes making a seasonal transition is as simple as using key summer pieces like kimonos as a layering garment. 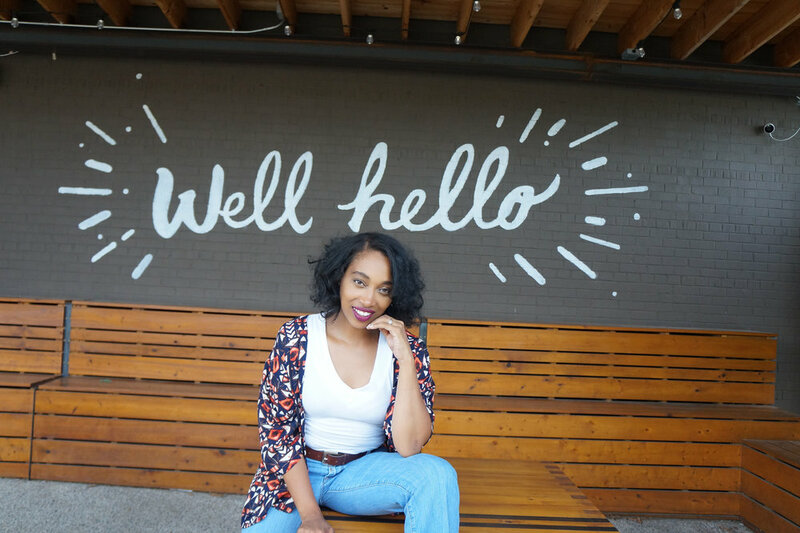 I’ll share with you how I styled a kimono to wear while heading to City & State for a casual coffee date during this summery pre-fall season. 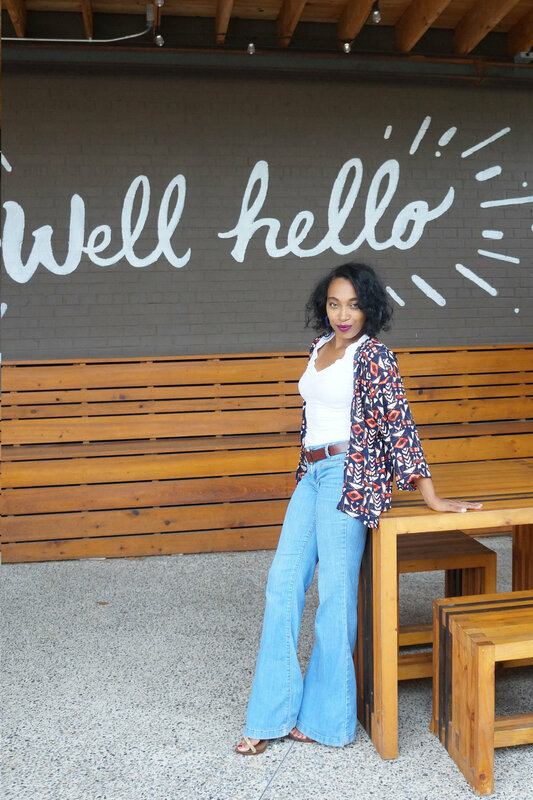 For this look, I grabbed my kimono I made over a simple short sleeve tee with my absolute favorite pair of wide leg jeans. I wanted to be simple, cute, and warm as the temperatures shift. The length of the kimono is really up to and the style that suits you. You’ll see on sites such as Pinterest the “robe” kimono look, which I love, on literally everyone. 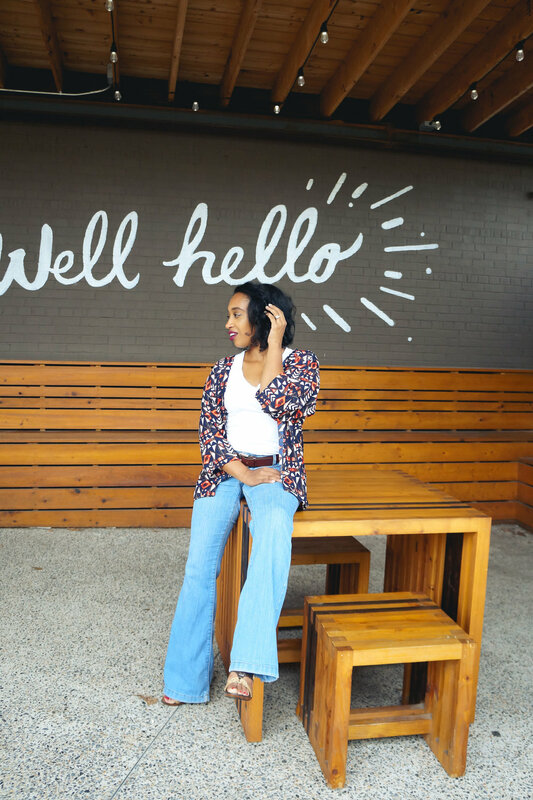 While I love the look and will more than likely make a longer one to pair with dresses for a more glammed up look, I love a short sleeve and length for my petite frame with denim. How are you guys dressing as the season begins to change?